Through a combination of political solidarity and the ever-unquenchable search for beauty in the world, I find myself penning this brief stream of consciousness from a house-boat in the middle of Dal Lake. A few hours back the sun rose, to my left, from behind the mighty snow-kissed peaks of the Himalayas, almost as if it was acknowledging, with its own radiance, that most glorious of mountain ranges. It glowed a brilliant orange as it receded into the waters to my right. I am starting to feel the blissful effects of the special cigarette I have just smoked with my new friend. Let’s call him Abdul to preserve his identity. He is the owner of this intricately hand-carved house-boat that is operated as a hotel, one of thousands on Dal Lake. Many agree that this couplet was written by the early 13th century Sufi poet, Amir Khusrau. Others state with equal tenacity that it was uttered by a Mughal emperor, either Jehangir or Shah Jahan, when he saw the beauty of the valley, possibly even quoting the poet directly. Abdul thinks it was by Omar Khayyam. I’m less interested with those debates, for I realize that regardless of who wrote it or referred to it, the couplet itself is mighty true and, more importantly, when Abdul recites it in Farsi, it sends a slight tingle up my spine. He recited it on a beautiful boating ride that we had embarked on earlier, where he showed me the backwaters and commerce of Dal Lake, from the house-boat hotel owners to the shop-boats selling snacks and handicrafts. He pointed to the various communities fishing in the waters and growing vegetables on the pieces of floating land dotting the waters. During the ride, he informed me on more than one occasion that this part of Dal Lake was not really shown to tourists when they trotted over during the summer months. I’m glad he didn’t see me as just another tourist, for my experiences thus far have been anything but touristy. The day before, I was in an inspirational meeting with some rather brave human rights activists who were waging a struggle against the injustices and tyranny of the occupying Indian state. It was, to put it mildly, deeply moving. After the meeting I was invited by a couple of those lovely people to hang out with them and Abdul on this very houseboat. 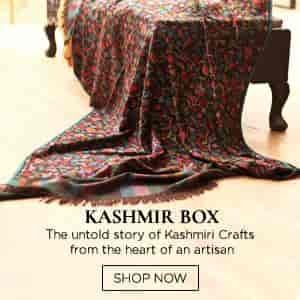 As memories of that memorable evening surface, I smile when I recall the slightly inebriated manner in which I spent all of my money on gorgeous Kashmiri handicrafts, hand-made from papier-mâché and wood. One piece was gifted to me by Abdul and his cousin. My mind is nevertheless at ease. Despite spending all of my trip money, I was still able to pay the remainder of my bill in the somewhat rundown hotel I had booked myself into for my three-day trip to Srinagar (in a neighborhood significantly less pristine than Dal Lake) and have enough for the auto rickshaw ride to the airport tomorrow morning so I may catch my return flight to Bangalore. All possible only because my new-found activist friends, upon knowing that I had spent all of my money, were more than happy to resurrect my finances, merely asking me to get a bottle of Scotch to share when I returned. That was nice of them. This bliss I feel is however tempered by the mild state of indignant shock I’m still in, having learnt of some of the gruesome acts of torture, brutality, and state-led terror conducted by the Indian military upon my Kashmiri brothers and sisters. I realize that I’m sitting on a paradise-like land, but one that is occupied and ruled by many vicious state powers. One such occupation is conducted in my name, purportedly for maintaining my national integrity as an Indian passport-holder. I knew this before I came here, but I know it in a different way now. It’s good for me to realize this. There ought to be a certain temperance to the happiness I feel right now, because I know I cannot sit idly by and merely enjoy the beauty of this land without also doing something, anything, to be in solidarity with their struggle for liberation. The chill is now blanketing the place along with the darkness of the night, interrupted only by the sparkle of lamps that shine from the myriad house-boats around the lake. Abdul asks a friend for the little basket with coals, an ingenious method by which Kashmiris keep themselves warm. He and I then speak with hope and caution about Kashmiri liberation from various states and military occupations. Liberation from India. Liberation from Pakistan. Liberation from China. There’s a lot of liberating that needs to happen. We then talk about South African apartheid and how it eventually ended, before briefly comparing the situation in Kashmir to the brutal occupation of Palestine, which we envision ending in our lifetimes. This brief discussion of other state-led oppressions leads us, rather logically, to the belief that the multilateral occupation of Kashmir will also see its demise sooner or later. There’s no utopianism in that conclusion. Only hope. This trip to Kashmir has taught me that hope is a powerful, if often lone-standing, weapon against tyranny. Abdul’s friend soon bids goodbye to us, which has Abdul and I move into the room that is mine for the night. He proceeds to light the wood-stove heater using kerosene and wood chips. My middle-class self is secretly happy for I have been cold for two days straight on account of carelessly not packing enough winter gear (reasoning that I lived in Toronto and regularly saw -20 degree Celsius weather, but forgetting that most of the subcontinent didn’t have central heating). I burn my hand slightly when I mistakenly touch the metal heating stove, but hold it under the ice-cold water running out of every tap in Kashmir, and realize that it’s only a very mild burn, partly thanks to that ice-cold water. I nevertheless am in awe at the rawness of living most Kashmiris happily endure, only matched by the rawness of beauty in a valley that has the awe-inspiring Himalayas surrounding it. Abdul is about to light up another special cigarette and we chat for some more time, this time about Indian politics and the blood-curdling fear of having a fascist as a prime minister. He then asks me if I’m hungry, suggesting that our evening is slowly ambling to an end. I am famished but still a little shy, so merely say that I’ll eat whenever he’s ready to eat. Sensing my inhibition and also discerning that I wouldn’t mind a little alone time, he says he’ll have dinner sent to my room so I can relax on my own and write some more. Dinner, comprising rotis, daal, and sautéed vegetables, soon arrives. He ensures I start eating the wholesome fare before leaving for his hut behind the house-boat. After I’ve had my fill, the dishes are cleared away by the attendant employed by Abdul, following which I settle in for a peaceful slumber, realizing that I can take off my socks on account of the lovely electric blanket provided. I drift off to sleep, vaguely aware that each of the wooden panels making up the walls of my room is individually hand-carved. I wake up the next morning to some sweet Kashmiri tea brought to my room by the same attendant, joined by Abdul. Abdul enquires if I slept well and ensures I know how to get hot water from the taps in the bathroom. Hot water, I am beginning to realize, is a great blessing in the valley. After washing up and doing some push-ups I get breakfast served to me. The rotis are fluffy and the omelette has onions and green chillies in it, giving it that touch of dash. The sugary, pink tea is a perfect foil. Abdul ensures I eat well before asking if he might whip out another special cigarette for us to share. I am, of course, only too happy to partake in it. Bom Shankar! Ali thod de mere dushman ke nali! He says it’s a dual chant, one praising the Hindu deity, Shankar, the anthropomorphized version of Lord Shiva. It was a chant he learnt when he shared chillums with Hindu ascetics in the past. He has a brief interlude, where he remarks strongly in favor of religious pluralism, before coming back to the conversation and informing me that the second chant is calling on the spirit of the warrior imam, Ali, to destroy the weapons of our enemies. I am intrigued by the violent pacifism of this second chant, noting that it only seeks to destroy the weapons of one’s enemies and not the enemies themselves, almost as if calling on people to destroy the oppression faced but not the actual humans conducting the oppression. I also realize that this one-minute discussion on Abdul’s chants has encapsulated the fundamental liberal pluralism of society in Jammu and Kashmir at its heart; a humanistic soul to the valley, despite the fundamentalists, both Hindu and Muslim, trying to convince us otherwise with their virulence. But it’s time to leave now. Someone is waiting for me on the banks of the lake to take me to the airport. Let’s call him Zaid to maintain his identity. I met Zaid bhai a couple of days back when I asked him to drop me at my hotel from Lal Chowk, the epicentre of Srinagar, where ordinary Kashmiris often congregated to courageously demonstrate against the tyranny of the Indian state. It was a random meeting – I just wanted to hire an auto rickshaw to take me to the hotel. Sensing that I was from India and that I maybe wanted to see the sights, he offered himself as a guide for hire the next day. I thought it was a good idea to do the tourist routine in the morning since my meeting at the human rights organization was only in the afternoon. So that morning, driven around by Zaid bhai, I saw the sites. We started with Pari Mahal, the terraced gardens overlooking Srinagar, and then moved on to Chashma Shahi, the Mughal gardens in the centre of the city. Following that we visited the Hazratbal Shrine, considered to be Kashmir’s holiest Muslim shrine and believed to hold a strand of hair belonging to the prophet Mohammed. Finally, he showed me the gorgeous Shankaracharya temple, dedicated to the Hindu deity Shiva and which stood on top of a small mountain. Despite the gender-oppressive nature of the more religious sites, there was much beauty to be imbibed from the mini-tour, which culminated atop that mountain. After negotiating two military checkpoints and climbing the two hundred steps to the temple, I took in the view. To describe it as gorgeous would be but a futile attempt to describe the indescribable. I could well have been on Mount Kailash itself, standing next to a metaphysical Lord Shiva. But while I absorbed the beauty of the valley below, I sensed rage, I sensed Shiva’s anger as he danced his belligerent Thandav. You see, Shiva is the anti-hero of the Holy Hindu Trinity. The one with a dark side. The one without a soft side. He’s the destroyer of all evil, and I sensed his three eyes burning red with fiery indignation as he saw the oppression of my Kashmiri brothers and sisters at the hands of a brutal military occupation and multiple hegemonic states. I felt his fury as it coursed through my veins. I also felt something else. As my blood boiled, my mind paid heed to the rapid destruction of the jingoistic narrative I had been fed as a child growing up in India. It was bound to happen. Jingoistic narratives can only survive for so long. Thus brought to a higher level of consciousness via the medium of rage, I was dropped off at my meeting by Zaid bhai. The next day, proving the slight air of magic that seems to hang over the valley, we discovered to much providential surprise that he once worked as a driver for the very same human rights activist I was there to meet. I am reminded of these eye-opening experiences as I pack my bags to return to Bangalore. For I know I will never see the city of my childhood, indeed I will never see India itself, in quite the same way I did before I made this trip to Kashmir. Abdul has suggested that we get a move on (simultaneously invoking the chant) so I don’t miss my flight. He asks his attendant to get the thin boat ready to take me to the lake shore. Before we leave for the boat, I again ask him in vain about how I might pay him back for all his generosity. He swats it away and tells me not to worry about such small matters, as if kindness ought to be a given. I remark at how warm-hearted he is, and he says that good people just have a way of gravitating to each other on this earth, as if they are all connected by an invisible bond. And so saying, we make our way across the lake. I know that I’m soon going to negotiate the traffic and bustle of the city. As I sit for the brief boat ride with a sense of calm brought on by the light splashing of the Dal waters on the side of the boat, the chill in the air slowly works its way through my body. Simultaneously I sense a warm glow in my heart as I take in this land and her people. I look to my left and once again see the glorious Himalayas, realizing that just as this brief sojourn of mine has been a deeply moving political journey, it has been an equally visceral spiritual one. I have no choice but to accept that this is indeed the valley that stole my heart. I sit in Zaid bhai’s rickshaw as he weaves it through the traffic and, en route to the airport, I realize that my sensitive sinuses are not as bothered by the smoke and dust of Srinagar, almost as if I’m now accepting the valley into my system, acknowledging that the pothole-weaving traffic of Srinagar is just as much a part of this spec of earth as the pristine beauty of the lakes and mountains. After going through three different security checks, I make my way to the boarding gate in the sterile, heavily guarded environs of Srinagar International Airport. Emitting a sigh of sadness at the prospect of leaving, but still basking in the warmth of my memorable little visit and in relieved anticipation of upcoming ones, I wait to board my flight back to Bangalore. My curiosity is however piqued when I notice a bunch of little birds, mynahs I think, flying around the entire waiting area with a sizeable group flocking around the seat behind me. I turn around to see a gentle old man in traditional Kashmiri garb, feeding the birds bits of his sandwich. He smiles at me and I smile back. Most times when I see little quirks like this in the subcontinent an old saying that goes something like “This happens only in India” sometimes plays in my head. But I have to correct myself this time because I’m not in India. Not the hegemonic India at least. I’m in Kashmir. And I realize that the slight shimmer of magic that seems to be present in the air of the valley has managed to permeate through the sterile commercialism and heavy-handed security of the airport. My spirit lifts ever so slightly as I realize that, in the spirit of love and liberation for all of humanity, I have no choice but to stand unambiguously in solidarity with the liberation of my Kashmiri brothers and sisters, as well as their inalienable right to self-determination. As a secular humanist and increasingly spiritual agnostic, all I can say is – Insha’Allah.